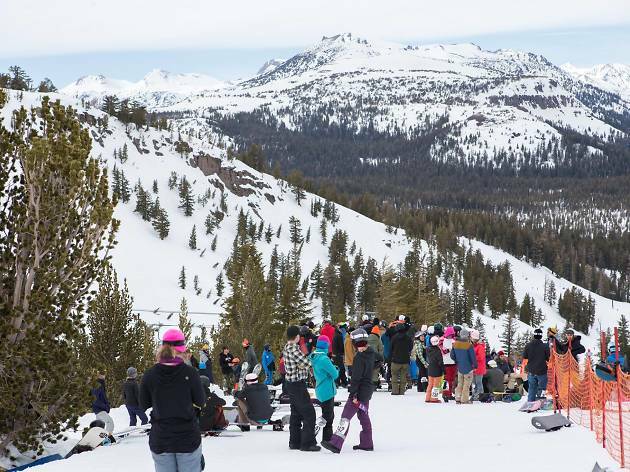 This 11,000-foot mountain has something for everyone, with plenty of bunny hill runs as well as some of the best tree skiing in the Sierras. Advanced skiers will have a few chairs all to themselves that lead exclusively to blacks and double blacks. For a pleasant ride whether or not you're skiing to the bottom, take the Gondola all the way to the summit—you can find an intermediate route back down, or stay on the Gondola all the way back to the base, which boasts apres-ski treats like a Ben & Jerry's and kitschy tiki bar Lakanuki. 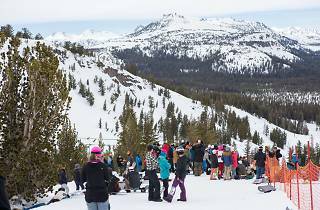 Mammoth is the place to be for spring skiing, with t-shirt weather extending even into the summer months, especially after a winter with heavy snowfall. If you're staying nearby, check Mammoth's free shuttle system, which can transport most snow bunnies to the base in about 15 minutes. Lift ticket pricing: $111–$179 for adults (ages 18–64); $91–$147 for teen (ages 13–17); $44–$72 for children (ages 5–12); $91–$147 for senior (ages 65–79).